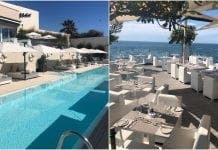 A CHEF that cooked for Prince Charles and Kate Moss features on Channel 4’s new series of ‘A New Life in the Sun’ following his journey of opening a restaurant in Andalucia. 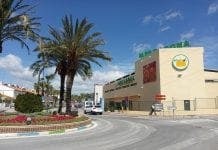 Joffrey’s Las Mimosas in La Cala de Mijas, is owed by french chef Joffrey Charles, 28 and his partner, former Irish TV stylist Lisa Burgess, 50, who realised their dream after fears of the British economy and Brexit persuaded them to move to Spain. “I’ve never run a restaurant so I had to google lots of things, and when you are being filmed doing something that you don’t know how to, it can be difficult,” Burgess said. You can watch the couple’s progress today on Channel 4 at 4pm (GMT).